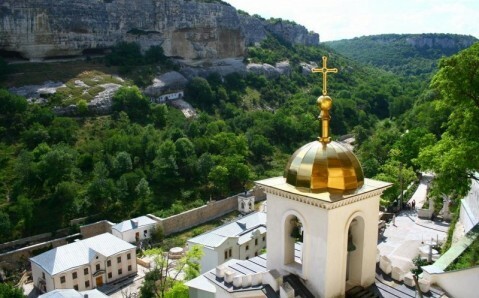 This now quiet, calm town in a green valley of the Crimean foothills used to be the capital of the powerful Crimean Khanate. It has preserved its eastern flavor until today, and it is a big reason why Bakhchysarai is considered to be one of the most interesting towns in the region. A plethora of unique medieval buildings, beautiful landscapes, and countless possibilities of things to do has made the city a magnet for thousands of tourists from across the globe. 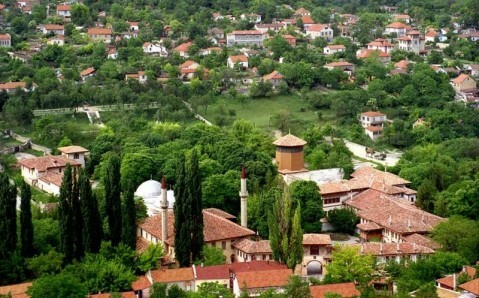 The history of the town, whose name in Crimean Tatar means "a garden-palace", began in the 16th century, when the Tatar Khan Sahib I Giray started building his residence here. Bakhchysarai grew rapidly and soon turned into a large center for trade and crafts. The works of the craftsmen were highly valued far beyond the borders of the peninsula - merchants from different countries traveled hundreds of miles to have a chance to purchase them. Bakhchysarai stayed a rich, prosperous city for over two centuries. In 1736, however, it was burnt to the ground by Russian soldiers. It was later rebuilt, and all the buildings that stand here today were built in late 18th century. Over the next century, after the Crimea had become a part of the Russian Empire, Bakhchysarai continued to wield influence as the center of public and cultural life of Crimean Tatars, until they were deported from the peninsula. Fortunately, many of them have returned to their historical homeland, and have revived their historical and cultural heritage. Modern Bakhchysarai is still reminiscent of a medieval city from, with its cow web-like streets, mosques, and countless historical monuments. The main landmark is the former dwelling of the Crimean Khans, called the Khansarai Palace, located in the center of the city. It is the only sample of the Crimean Tatar palace architecture in the world. The palace was rebuilt several times, losing its original appearance; only the structure of Khansarai stayed more or less true to its past. Today, besides the elements of Crimean Tatar architecture, the traces of Baroque and Russian Classicism styles (reconfigured to Turkish tastes) can be found on its exterior. 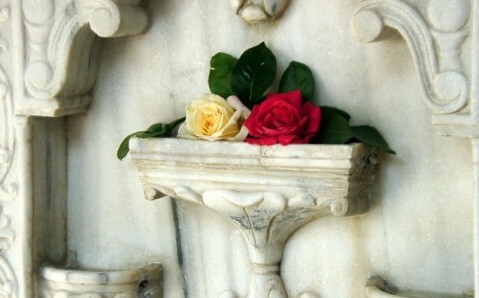 The most ancient element of Khansarai, which has been around since the 16th century, is considered to be the Demir Qapı (Aleviza) portal. This massive iron door, created in the Venetian Renaissance style, served as the main entrance to the palace. The portal leads to a courtyard that houses the main sights of Khansarai – the Golden Fountain and the Fountain of Tears. The latter is considered to be the most romantic element of the palace. According to legends, the Crimean Khan built it in memory of his beloved wife, who was poisoned by a jealous woman of the harem. The palace complex includes several living quarters buildings, a mosque (behind which a family cemetery of the Crimean Khanate rulers is located), the Durbe of Dilara Bikeç (the Khan's wife’s mausoleum), and numerous gardens, in which rulers liked to meditate. Today, the Museum of Crimean Tatar History and Culture occupies the palace. One more gem of Bakhchysarai is Zyndzhirly Madrasa, a religious school founded in 1501; for 400 years it remained an important center of Muslim education. 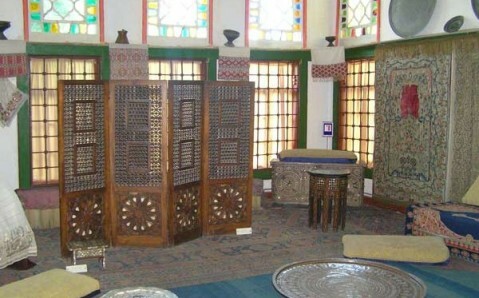 Its importance is on display at the museum that now occupies the madrasa. You can also find plenty of unique sights on the city’s outskirts. 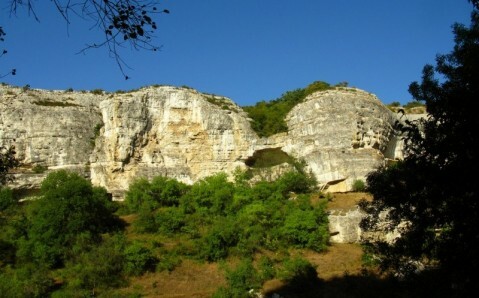 The most popular ones are the Assumption Monastery, which was carved out of a cliff, and the amazing monuments to the Middle Ages – cave towns Chufut Kale and Mangup Kale . Bakhchysarai is a wonderful city. Besides historical and cultural sightseeing, you can swim in the clear mountain lakes, go mountaineering, or just admire the beauty of the wild nature. None of Bakhchysarai’s guests ever left the town without a great impression!